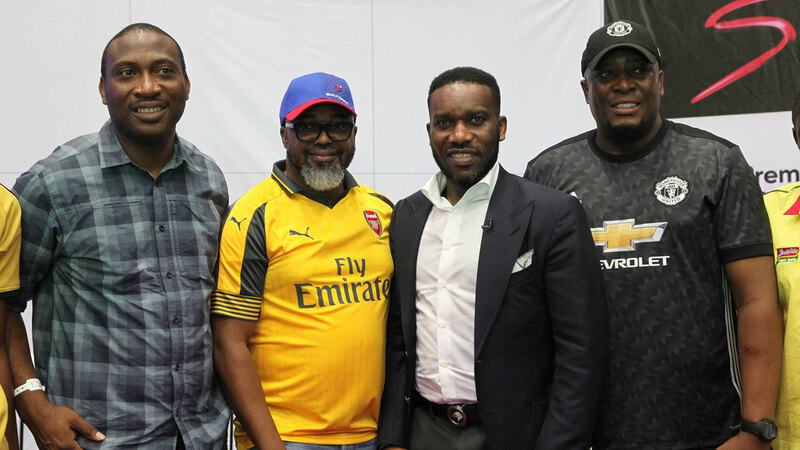 Product Manager, Dufil Prima Foods Plc, Onome Asagbra (left); Managing Director, MultiChoice Nigeria, John Ugbe; Ex-International, Augustine Azuka “Jay Jay” Okocha; and General Manager, Marketing and Sales, MultiChoice Nigeria, Martin Mabutho during the MultiChoice Premier League Trophy Tour in Lagos at the weekend PHOTO: FEMI ADEBESIN-KUTI. The Premier League Trophy tour in Nigeria was concluded at the weekend with former Super Eagles of Nigeria and Bolton of England’s legend, Austin Jay Jay Okocha thrilling thousands of soccer fans at the Teslim Balogun Stadium in Lagos. It has been a tradition with MultiChioce to bring a premier league legend to Nigeria to celebrate the EPL Trophy tour. The company decided to settle for Okocha this year, a choice the General Manager, Marketing, for MultiChoice Nigeria, Mr. Martin Mabutho, said was a way of celebrating one of Nigeria’s greatest footballers. 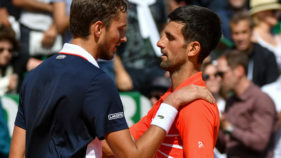 He said: “We continue to take pride in providing the very best and exclusive sporting content and experiences to our viewers. This is a once in a lifetime opportunity for many people to see the Premier League trophy and take pictures up close and personal. “Every year, we see various clubs fighting to lift this trophy and not many people, even Premier League players, ever get the opportunity to come this close. We are delighted to have brought the trophy to Nigeria and are thrilled to also have none other than Jay Jay Okocha accompanying it on its tour,” Mabutho stated. After a series of events, which included the Premier League trophy visiting media houses, MultiChoice offices, and also being hosted by Sports Minister, the Trophy Tour came full circle on Saturday at the Teslim Balogun Stadium as lucky DStv and GOtv subscribers gathered to see the famed trophy whilst also watching live screenings of Premier League matches. The day’s events began in the morning at the National Stadium, Surulere, with the MultiChoice Premier League Trophy Tour legend, Okocha partaking in football matches as part of the MultiChoice ‘Let’s Play’ initiative to promote healthy living amongst children. 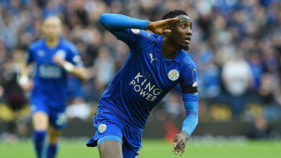 The proceedings shifted to the Teslim Balogun Stadium, where under the watchful eyes of the Premier League officials, the trophy was mounted for visitors to take pictures with. A live screening of selected football matches including Manchester United versus Tottenham Hotspur and Arsenal versus Swansea followed, with Okocha providing guest commentary alongside the SuperSport hosts.